The model display room at the 2015 RPM-East event. We issued a call for images of your latest modeling a couple of weeks ago. Prototype Rails at Cocoa Beach was about to get underway and we thought it would be fun to coordinate a Virtual RPM here on the blog for those who were unable to attend The Beach. The response was strong and we hope to do this again in a few months. The presentation may not be as impressive as entering a display room filled with railroad models, but it’s a great way to share and inspire others to move a project forward. Click on any image here to review a larger size. Craig Zeni returns with several models in a vitual RPM display here on the blog. I’ve been working through a Westerfield New York Central “1916” rebuild steel box car (kit 7951). It’s a nice kit; the roof truss castings that Andrew Dahm now offers for some of his kits make the roof a whole lot easier to build. The completed underframe is seen above. A while back Frank had asked for some images of my other builds to feature blog. Here are a few for your perusal. A few extra details can transform a plastic kit into a reflection of prototype practices. Fenton Wells sent along several photos of recent HO scale kit builds. Follow along for the details. Click on any image here to review a larger size. All of these freight car kits are recent projects. Not all of these are resin kits but some are kit bashed with resin parts. 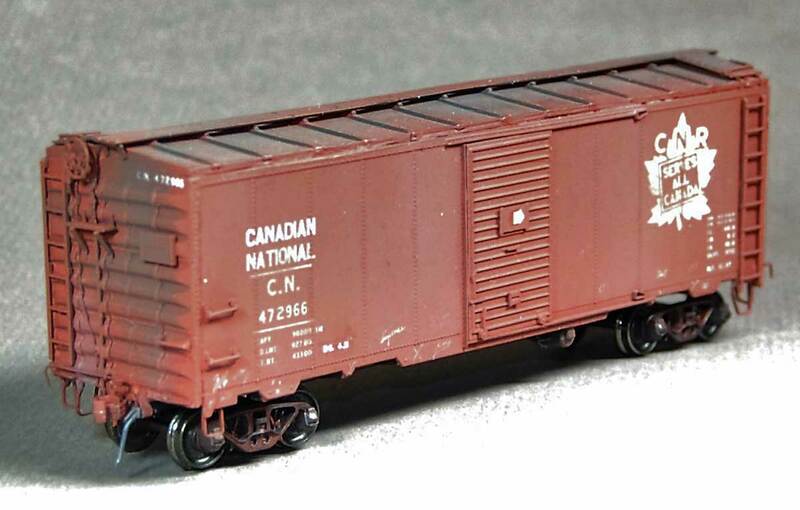 The lead photo here is of Canadian National 472966, a 10-foot interior height InterMountain (formerly Red Caboose) kit with Sylvan Hutchins roof and NSC-1 ends. Four resin freight car kits are among the consist of this train on Paul Doggett’s layout. 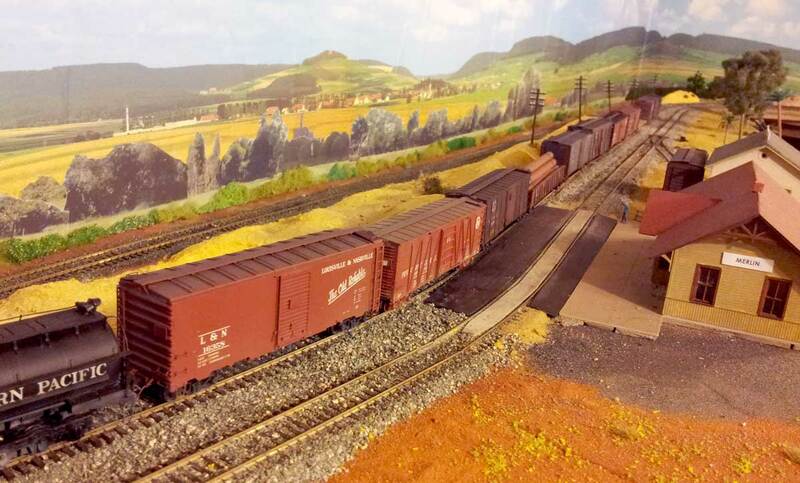 Paul Doggett has been busy building HO scale freight car models. Since January 1, 2016 he has built a small train; yes, in only two months time. We featured some of Paul’s work before and noticed he has had a busy couple of months. Follow along for more of Paul’s story. Click on any image here to review a larger size.